The impressive Mk3 features a 600 mW eye-safe IR LED and a 500 lumen white light LED with optional strobe mode. Compact and rugged, the Mk3 provides the versatility and operational range needed to face any situation, day or night. SPECIAL DEAL: Available directly from Steiner for $379.00. Click store button below. Mk3 Battle Light is rated 3.0 out of 5 by 2. Rated 5 out of 5 by BB505 from Exceptional compact lighting system I purchased this to compliment my custom 300Blk SBR. Due to the extremely small size of the rifle I needed a compact light, but did not want to sacrifice functionality or durability, the Mk3 met and exceeded the requirements. Rated 1 out of 5 by dichamw from MK3 Love it, exactly what I needed for vis light and IR . Need a cap to cover lens like DBAL D2. 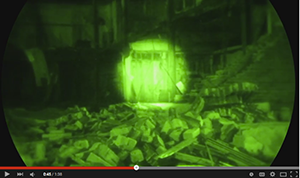 other LED IR lights I have tested emit a red signature easily seen at a distance at night. Does this light display that signature? Unfortunately the Mk3 battle light will not mount on the PX4 storm, due to only having one slot for mounting. I would recommend taking a look at the the LAS/TAC light. Will &quot;Rail-Mounted Dual Button Remote Switch for AN/PEQ-15, M6 Light&quot; work with coupling this and a DBAL I2 together? Steiner recommends the use of Steiner switches with Steiner products. Steiner has done no testing to confirm that any other vendors&rsquo; switch will work with our product. What is the frequency in flashes-per-second of the strobe mode, and is it at the full output power or, if not, what power level? Mk3 Strobes at 8 Hz at the full output of 500 lumens. 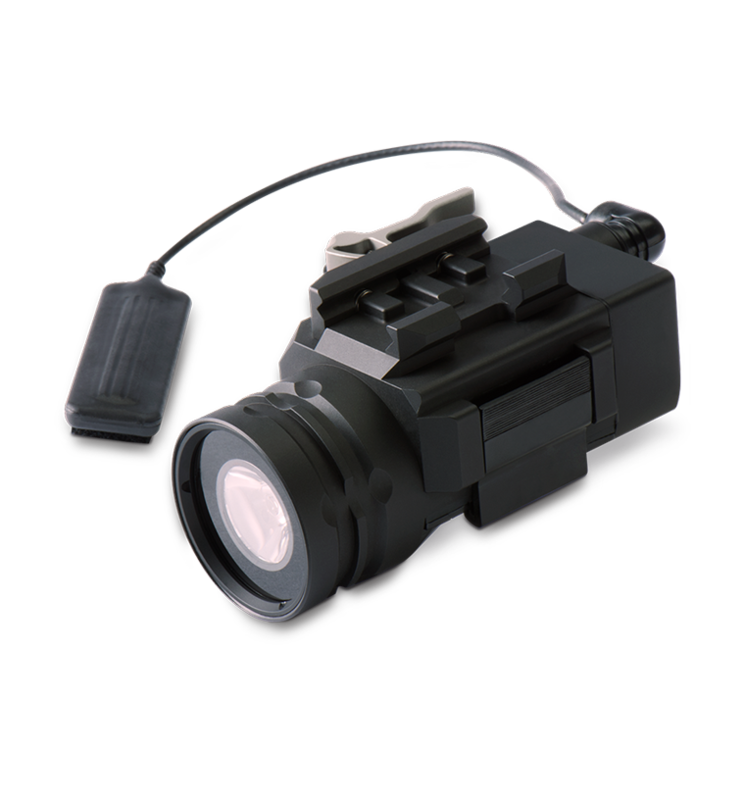 If the Mk 3 emits a red glow and all other IR do not: what is the best option for a CQB weapon mounted IR illuminator without the need for a laser that does not emit the red glow?